Five – $100 Gift Cards from a local business of your choice to be given away May 31, 2013! Citizens Bank Minnesota is excited to roll out our new Go! Green Online Banking enhancement. Go! Green gives you the opportunity to sign up for E-Statements with the ability to view your check images as well as additional electronic documents at no charge! So how would you like a chance to win one of five $100 Gift Cards to a local business of your choice*? All clients enrolled for E-Statements by May 31, 2013 are automatically entered to win! 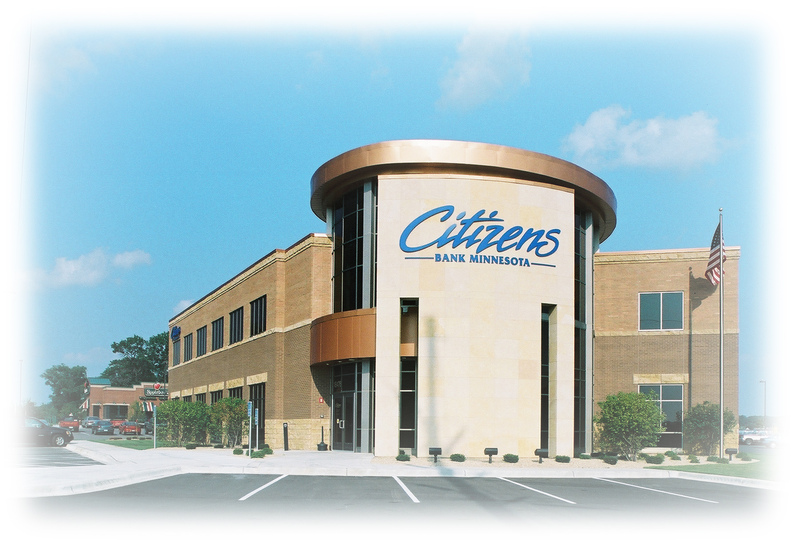 If you do not have Online Banking, you can enroll at www.citizensmn.com, then follow the steps listed below. If you already have Online Banking, enrollment is easy! Simply follow these 3 eZ steps! That’s it! If you have any questions or need help, please contact our Citizens Connection department at 507-354-3165 or 800-549-0194. *Every Citizens Bank Minnesota client enrolled in E-Statements by May 31, 2013 will automatically be entered to win one of five $100 gift cards to a local business of their choice. In order to receive E-Statements you must have Online Banking. You must be 18 years of age or older to win. No deposit required. Do not need to open an account or be a client of Citizens Bank Minnesota to win. Winners will be notified on Monday, June 3, 2013. You do not need to be present to win. Could you be a Successful Business Owner? According to the U.S. Small Business Administration, sixty-three percent of Americans plan to work during retirement. Many of these people are planning on starting their own businesses. After all, a retiree can tap into a lifetime of experience when putting business ideas into action! A great place to start weighing your decision to start a business is to sit down with one of Citizens Bank Minnesota’s business lenders. We will listen to your ideas, and help you gather the information and resources you need to develop a sound business plan. We also can direct you to mentors in our area like SCORE (a nationwide nonprofit association dedicated to educating entrepreneurs and helping small businesses start, grow, and succeed) or the Small Business Development Center (which provides financial counseling, marketing advice and management guidance). And, if your business plan will require financing, we can help you with a small business loan. Not to mention all the other financial tools an entrepreneur will need, like merchant credit card services, deposit accounts, cash management and internet banking, and remote deposit services. Citizens can help you with your plans and dreams. All you have to do is stop in and ask! Are you comfortable operating without an established “Gameplan”? No one is going to hand you an employee manual, so be prepared to make a lot of decisions about the day-to-day and long-term affairs of your company with very little guidance from others. Are you willing and able to bear great financial risk? Statistics show that less than half of small business start-ups make it four years or more. So, be sure that you can afford to lose your start-up capital, as well as the salary you will likely give up during the early years of your new business as it grows and demands more capital for growth. Are you willing to work hard for many years? Entrepreneurs are likely to work 60+ hours per week, and will forego time off from the business until their business is on sound footing. Even if you can afford to get away, you likely will wear many hats in your business and it will be difficult t find anyone to fill in for you. Are you passionate about your venture? Don’t go into business for yourself simply to make money or because you have no other alternatives. Make sure you love the business and that you are fully committed to your product(s) and/or service(s). The commitment to owning your own business is simply not worth it if the passion is not there. In the past, have you been able to convert ideas into action? Ask a friend this question, in addition to reviewing your resume to see if you’ve exhibited leadership qualities in the past. Good ideas are no good to a business if they can’t be converted to profit. Are you willing to tackle all aspects of running a business? You will be doing everything in your business from bookkeeping, to marketing, to the mechanics of operating equipment. Be sure that you are comfortable with this and, if not, recognize that you will have to hire someone to handle the details of what you can’t or aren’t willing to do. How are your written and oral communication skills? You will have to persuade investors, suppliers, buyers, and employees to work with you, so make sure you feel comfortable in this role. Can you face discouragement without giving up? Entrepreneurs need to be able to face rejection and disappointment with optimism and courage, as well as with the ability to think creatively about roadblocks they will face in their business. Is your family willing to sacrifice as much as you are? You will be devoting a lot of time and money to your venture, so be sure that your spouse or significant other, as well as your kids, are on board with this and willing to support you in your endeavors. If, after thinking about these things, you are still committed to venturing out on your own, then GREAT! Move ahead with your ideas and create a fabulous business plan. And be sure and stop in to Citizens Bank Minnesota, and let us help you realize your dreams! Are you thinking about starting a business? Whether you like it or not, it’s important that you create a business plan. Why? A written business plan helps you to think through your business ideas so that you see the weaknesses and strengths of your venture more clearly—and it gives you the opportunity to address any concerns ahead of time. Plus, you can use your plan when meeting with advisors, business partners, banks, and more so they can objectively and constructively help you with your business. Be thorough. Cover all of the details of your start-up business. Go to http:///www.citizensmn.com/business/getting-started/how-to-prepare-a-business-plan.html for additional information on this topic. Use candor. Don’t idealize your circumstances. Be forthright and identify your critical factors for success. Don’t be afraid to identify your weaknesses, and then address how you plan to overcome those weaknesses. Be conservative and identify contingency plans. Everyone knows that projecting sales in the first year is difficult. Thus, identify your assumptions, and perhaps show “worst case”, “best case”, and “most likely” case scenarios, and how you will succeed in all three cases. Make the case for why your product/service will be successful. Why will the market change its behavior and buy from you vs. what it is currently doing? This is a critical question that is often overlooked. Finally, don’t forget to pull your initial business plan out frequently during your first year or two in business. Use it to perform a “check-up” on how you’re doing, and to make sure that you haven’t overlooked any strategies for success. Do your customers love you? You may think that is a silly question…but, think of the last time you did business with someone who really irritated you….not a pleasant memory and you probably didn’t go back. Now think of a time when you had superb service that was above and beyond your expectations….different story, right? You probably told everyone you know, or they earned more of your business, or you may have even referred them to a friend or family member because you were so pleased. Times are tight and most businesses don’t have tons of money to throw at expensive advertising or marketing trinkets! In this downturn economy every business needs to create WOW! Customer Service Experiences to get ahead. The great news is the cost can be very minimal or absolutely nothing! Have a can-do positive attitude toward your customers and staff. Really hear what they are saying. Rattle and revive your customer service standards and make them WOW! Moments for your customers, such as inventing a new way to greet customers as they walk in the door or answer the phone in a way that will make your customers smile instantly. Train employees on those WOW! Moments and watch carefully to make sure they are following through. Remember people like to have fun! Send out a survey to customers asking for honest feedback about what they love about you and what needs improvement…then listen to the feedback and change what needs to be changed! Train your employees on how to handle complaints with finesse. Empower your employees to make the situation better for the customer without having to jump a bunch of hoops. Now…go out and love your customers!